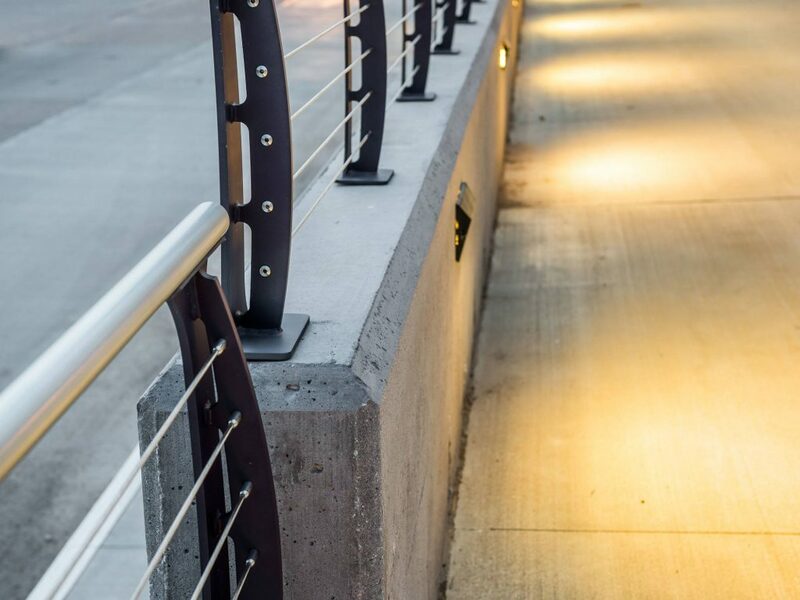 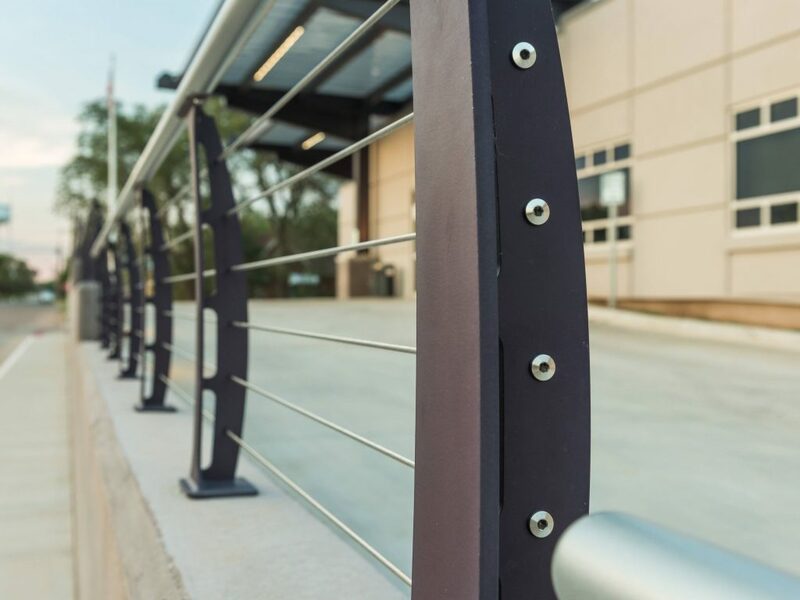 Material and Finish: "Raven Black” powder-coated steel posts with a round metal top rail. 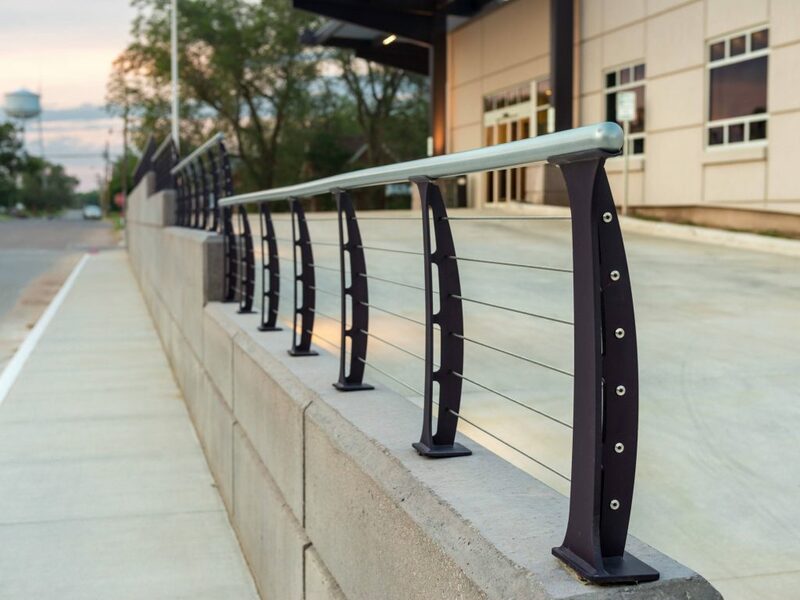 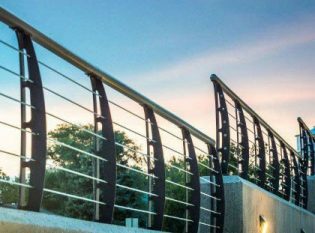 For this commercial job, we modified our standard Keuka Style railing post design. Because the railing sits on top of a concrete retaining wall, we made the railing shorter than usual. 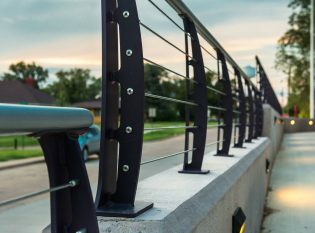 We also altered the post design to accept a round metal top rail. 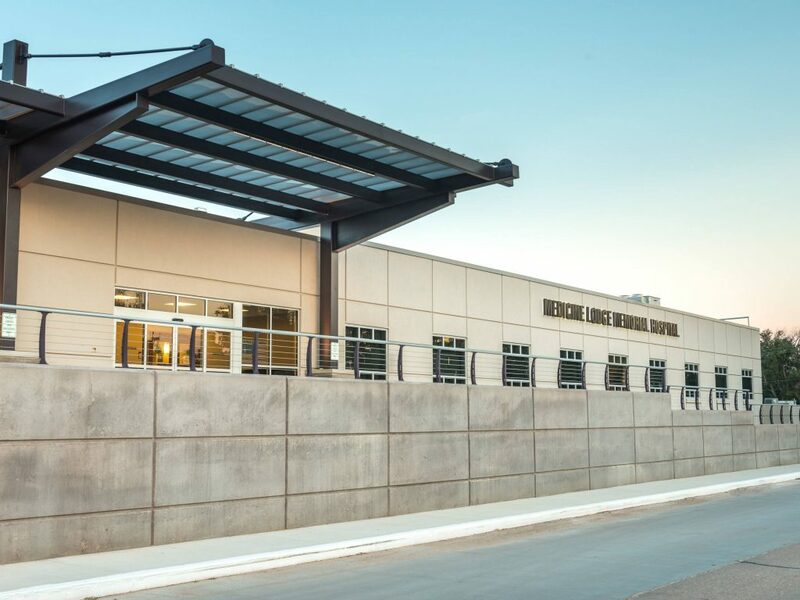 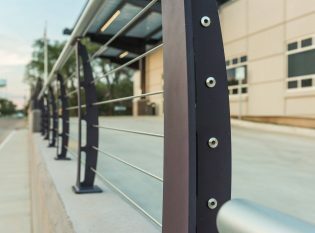 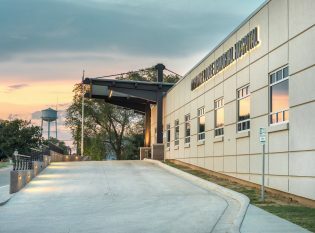 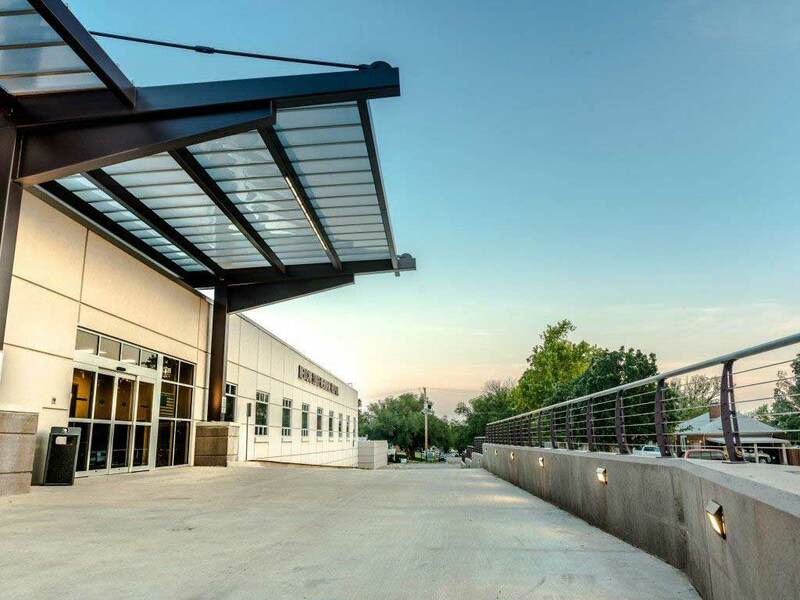 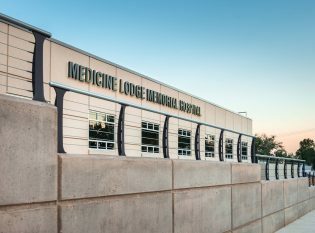 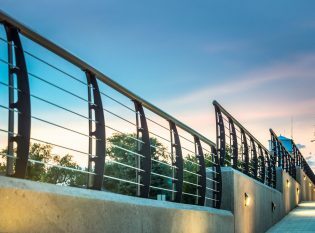 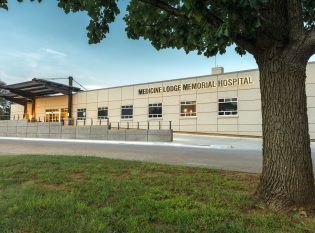 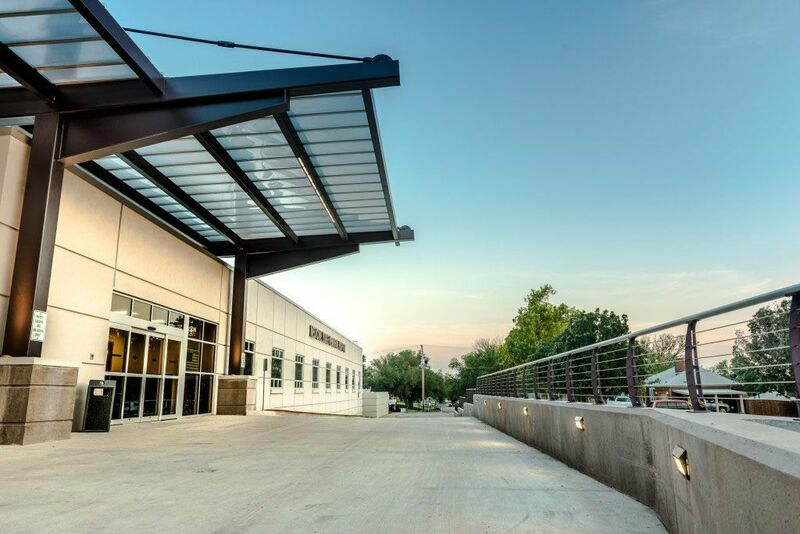 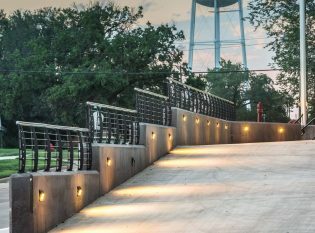 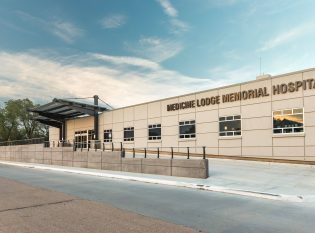 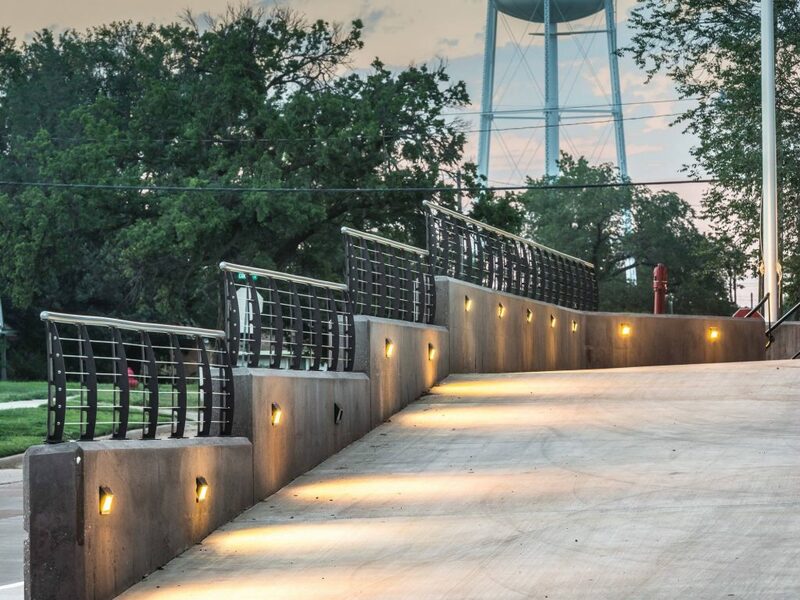 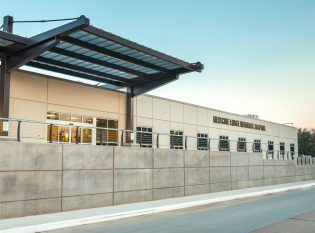 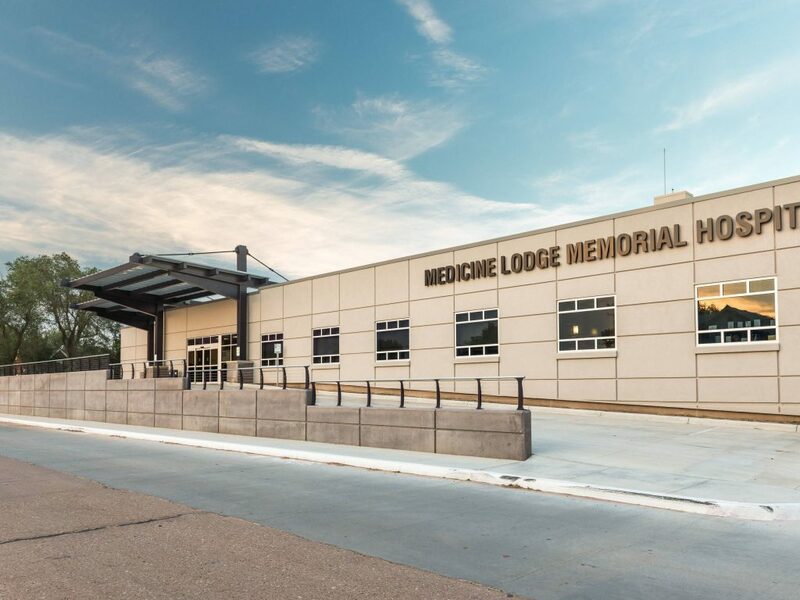 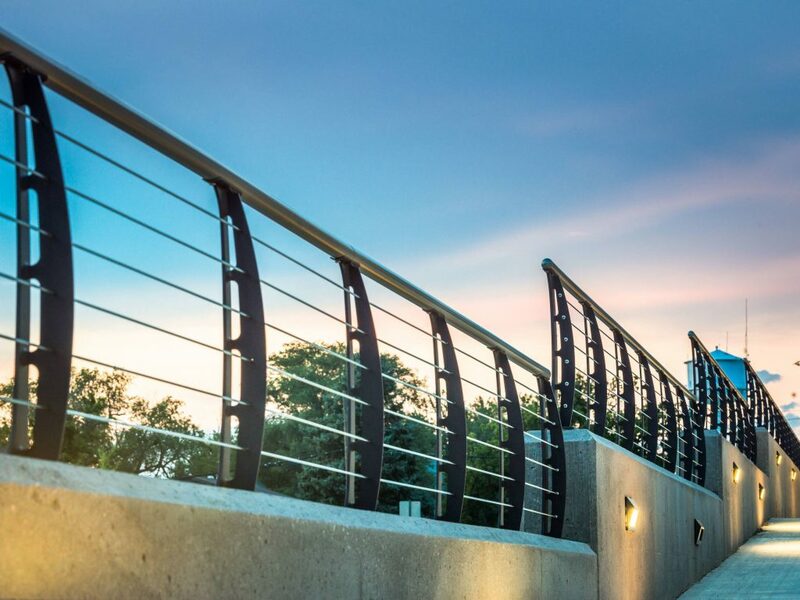 The railing system matches the awning that covers the building’s entrance and brings much-needed architectural intrigue to the facility’s exterior.